Living in a tiny apartment — or tiny home — no longer needs to mean giving up the luxury of a dishwasher. Meet Tetra, an award-winning countertop dishwasher that’s not only compact and cute as a button, but is also easy to install (no plumbing needed) and affordable with a limited pre-order price of $299. Produced by Heatworks and designed by frog, the small-but-mighty Tetra is marketed with a 10-minute load cycle and was recently demoed at CES 2019 earlier this month. 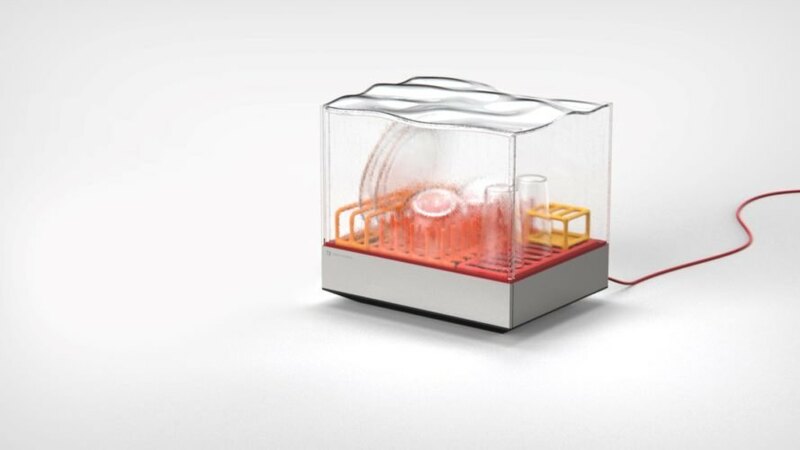 Winner of the CES 2019 Best of Innovation Award, the Tetra dishwasher is unlike its more traditional sibling in that it only requires an electrical outlet — no plumbing needed. As part of Charleston-based Heatworks’ commitment to energy-efficient and resource-saving products, this countertop dishwasher is also designed to save energy and comes with its own reservoir that allows control over the amount of water used, depending on the number of dishes inside. According to Heatworks, hand-washing dishes can use up to 10 times more water than dishwashers. 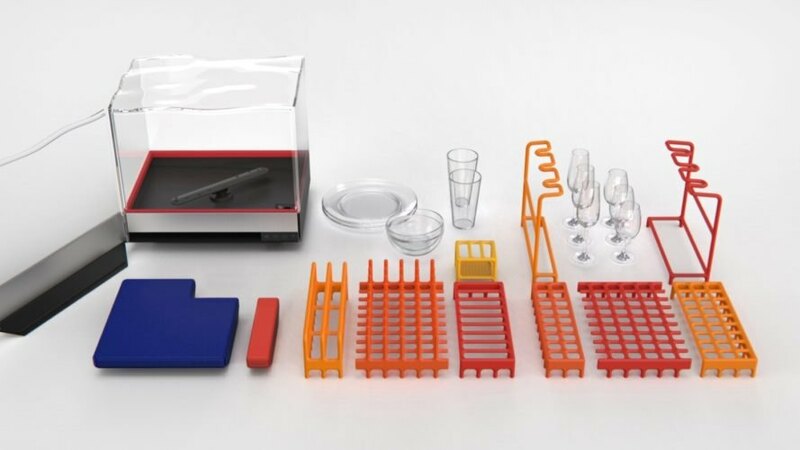 The Tetra countertop dishwasher measures 18 inches in width, 16.75 inches in height and 14 inches deep, and it comes with an internal detergent compartment as well as colorful modular racks that can be swapped out depending on what items need to be washed. 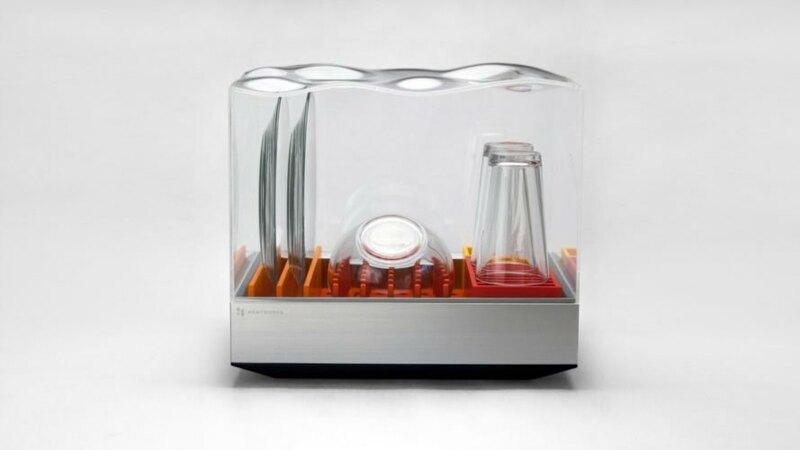 The appliance is powered with the Heatworks’ patented Ohmic Array Technology, which the firm said allows for “precise temperature control,” quick cycles and gentle cleaning or even sanitation of baby bottles. “Instead of having elements that get really hot and then transfer the heat to the water, we actually pass electrical currents through the water itself,” the firm explained of the technology’s tankless heating. “Using graphite electrodes and electronic controls, we increase the energy state of the water molecules, so they move faster. The faster they move, the more kinetic energy they have. This causes the molecules to begin to bounce off each other; that kinetic energy turns into heat. Through direct energy transfer, your water is heated instantly, within (+/-) 1 degree Fahrenheit of the temperature setpoint.” Pre-orders for the Tetra are slated to open in Q1 2019. 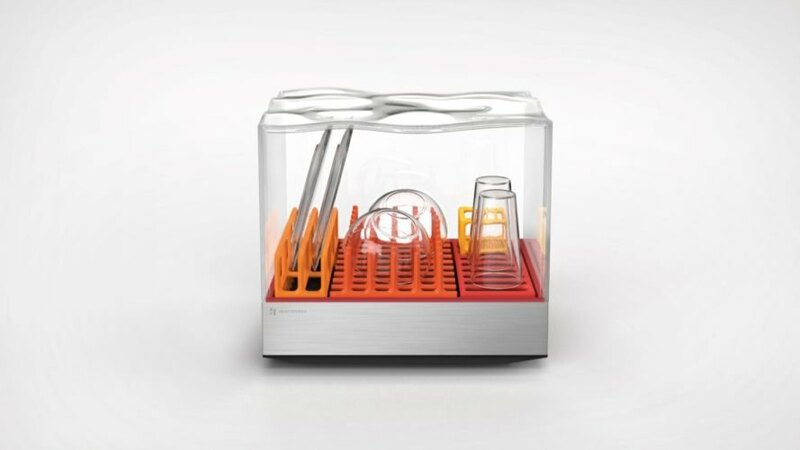 Heatworks and frog have designed this innovative, award-winning dishwasher. 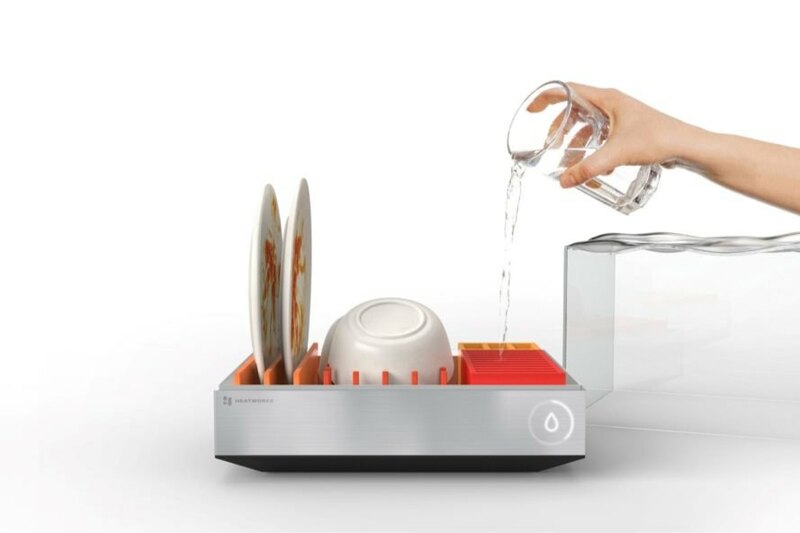 The dishwasher, called Tetra, can clean dishes in just 10 minutes. The model is compact enough to fit on a countertop. The design is perfect for apartment dwellers or those embracing tiny home living. The dishwasher saves water and energy. Simple controls make dishwashing a breeze. The unit uses Heatworks' unique Ohmic Array Technology. The system comes with bright, modular racks that can be swapped out depending on what you need to wash.
Pre-orders are expected to open in Q1 2019.